Cisco Brewers has been serving cold, fresh beer since 1995 when it was the only outdoor brewery in the country. 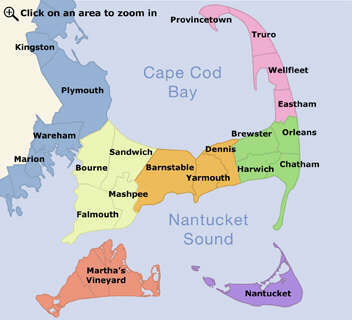 They brew 8 ales or embibe in other offerings from their partners Nantucket Vineyard and Triple 8 Distillery. Tasty new products just keep pouring! Founded in 2004, Cape Cod Beer is Cape Cod’s original microbrewery. We’re proudly dedicated to fresh, delicious, hand-crafted beer. Open weekdays 10AM to 6PM and Saturdays 11AM to 4PM. Free tours daily at 11 AM. Tastings any time during normal business hours. Farmer’s Market on Fridays from Memorial Day to October 1st. Available for private events... show more Founded in 2004, Cape Cod Beer is Cape Cod’s original microbrewery. We’re proudly dedicated to fresh, delicious, hand-crafted beer. Open weekdays 10AM to 6PM and Saturdays 11AM to 4PM. Free tours daily at 11 AM. Tastings any time during normal business hours. Farmer’s Market on Fridays from Memorial Day to October 1st. Available for private events after regular business hours. First Crush Winery is under the proud direction of winemaker Dr. Frank D. Puzio. The most exquisite wines possible are produced utilizing the finest fruit available, sparing no expense on equipment and adjunct products while following state-of-the-art wine making procedures.